2013 Championship was not a freak, as some journalists attempted to portray as. It was few years of hard work bearing fruit and we strive to raise rugby standards for years to come. The "elite" schools as they like to call themselves, are historically nothing more than just rugby factories, while we just added rugby into a long list that we excel at. This may very well be the dawn of a new era in Rajans Rugby. 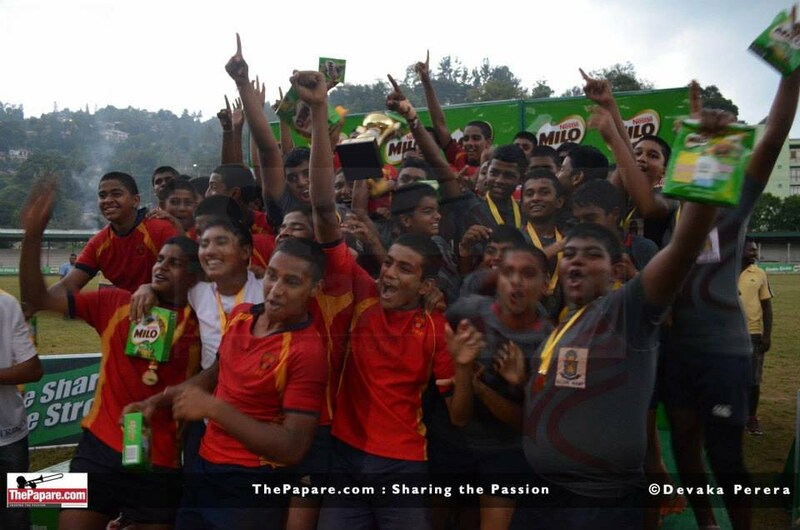 Nothing would have been possible without the support of Dharmaraja Alumni, if you want to make a voluntary donation, please visit www.rajansrugby.com and click on the Donate button. Online donations are processed through Dharmaraja Alumni Assoication of North America Inc (DAANA) : Click here for complete up-to-date DAANA Finance Statements. For those North American rajans, DAANA is a US IRS registered 501(C)(3) charity, your donations are tax deductible and may qualify for your employer's gift matching programs. Google permits US 501(C)(3) charities to use Google Checkout to solicit donations online, Thus, we are taking advantage of this facility to raise much needed funds for rajans rugby from voluntary contributions from Rajans Diaspora. Lets march with RAJANS along the superior way !